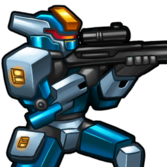 This image comes from Prismata or from websites created and owned by Lunarch Studios, who hold the copyright of Prismata. All trademarks and registered trademarks present in the image are proprietary to Lunarch Studios. For more information, see the copyright notice. This page was last edited on 1 April 2018, at 20:42.